The beauty and vitality of Mexican textiles reflects ancient, pre-Hispanic traditions and the arts of spinning, dyeing, weaving and embroidery. the spotlight thanks to new museum exhibitions and books, creating a renewed interest in Mexico's distinctive, antique textiles. 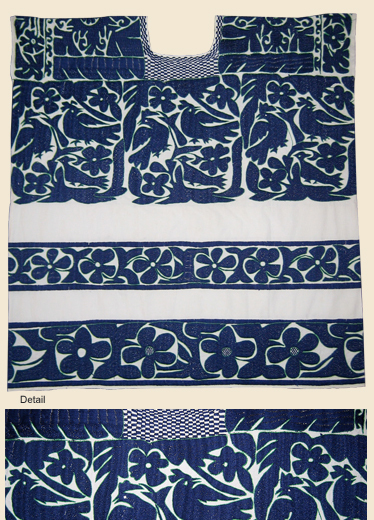 We have enjoyed collecting antique Mexican textiles for over 30 years. Please contact us for complete inventory and pricing.